BAGUIO CITY – The Cordillera Regional Competitiveness Council (RCC-CAR) recognized local government units (LGUs) in the different parts of the region for their exemplary performances in improving their overall competitiveness that had significantly contributed in sustaining the economic growth in their areas of jurisdiction. 4 individuals and local governments were given special recognitions while 11 other local governments were also cited for their significant compliments in the regional and national competitiveness rankings this year compared to their positions in the similar rankings last year. Paracelis, Mountain Province received the award for best Documentation while the Early bird ward for having submitted its documentation way before the deadline went to Alfonso Lista, Ifugao. On the other hand, the Best cities and Municipalities competitiveness Index Point Person was given to Robinson Gamit of Alfonso Lista, Ifugao. For the Most Improved Municipalities, Rizal, Kalinga placed fifth followed by Lagawe, Ifugao in eighth and Lacub, Abra in 2th place. In terms of economic dynamism, Baguio City placed 14th in the highly urbanized city category, La Trinidad, Benguet landed the in the first to second class municipality category while Buguias, Benguet landed 6th place in the third to sixth class municipality category. On infrastructure, Lamut, Ifugao placed 6th and Buguias, Benguet landed in the place in the third to sixth class municipality category. Bauko, Mountain Province landed in second place in government efficiency for third to sixth class municipality category, Baguio City placed eleventh place in the highly urbanized city category while Lamut, Ifugao landed in 16th place in the third to sixth class municipality category. In terms of resiliency, Lamut, Ifugao emerged at the top spot in the third to sixth class municipality category, Alfonso Lista, Ifugao placed 15th and Tublay, Benguet garnered 2th place in the same category. Lamut, Ifugao emerged as the second top performing town of the 874 municipalities that competed in the third to sixth class municipalities after coming out with the best score from the four pillars of the competitiveness index. 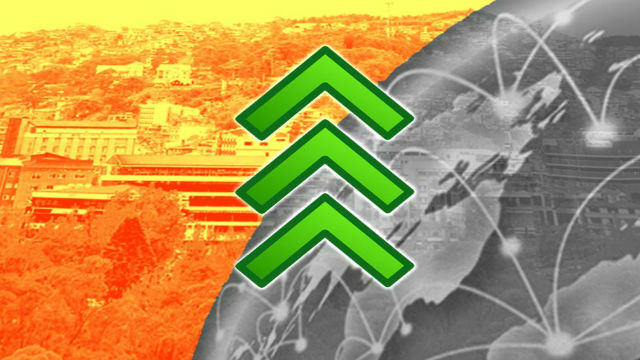 Among the region’s 6 provinces, Kalinga landed in 19th place of the 1 provinces in the country that participated in the competitiveness index wherein their ratings were obtained based on the overall performances of the cities and municipalities that are in their jurisdictions. Myrna Pablo, regional director of the Cordillera office of the Department of trade and Industry (DTI-CAR), said that for this year’s competitiveness rankings, all the 77 cities and municipalities that are equitably distributed in the 6 provinces participated in the CMCI compared to the previous staging of the rankings that there were only a few local governments that joined the said competitiveness rankings. Aside from Lamut, Ifugao hat placed second in the third to sixth class municipality category based on the overall ranking, La Trinidad, Benguet was also able to land in 1th place in the first to second class municipality category while Buguias, Benguet placed 17th and Tublay, Benguet landed in 18th place in the similar third to sixth class municipality category. The CMCI is an annual wards being given out by the regional and national bodies governing competitiveness to top performing local governments who are being judged based on their performances in economic resilience, government efficiency, infrastructure and resiliency.